Daberechi had to miss Lagos Fashion and Design Week. It was supposed to be her second cycle, and her first since being crowned the first winner of the Face of Few Model Search, a competition that cemented her position as the new girl to watch in Nigerian fashion. 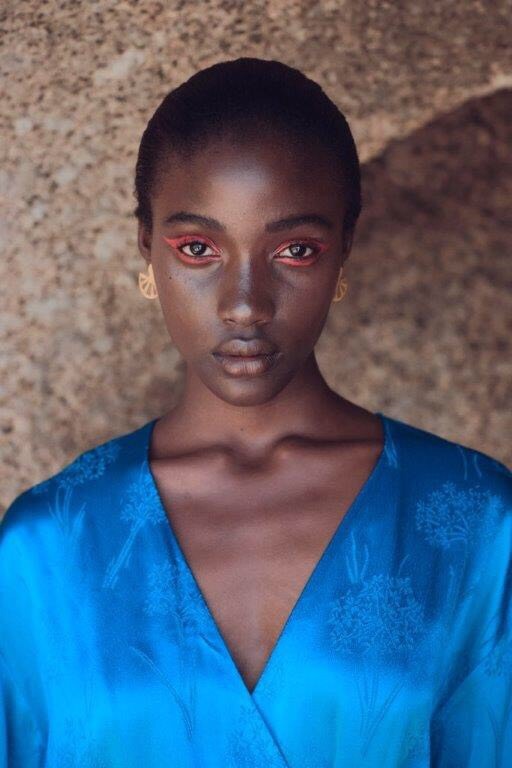 But after months of meticulous planning and successfully auditioning for LFDW, she got the call that her visa had been approved for her move to South Africa to begin a new career under the acclaimed 20 Models – just four days before she was due to hit the runway. Whilst she admits it was “unexpected” in its timing, it was a move that was very much in line with her trajectory. After walking 20 plus shows last season, fronting campaigns for Maki Oh, Lady Biba and Tsemaye Binitie, Daberechi is cleaning slate and starting again – and making a play that she hopes will see her on the catwalks of Milan and Paris come Fall season. Daberechi is part of the Ukoha-Kalu creative sibling trio, subtly but undeniably affirming themselves as the best in their respective fields: her elder sister Yadichinma, a stellar visual artist, is also part of our NATIVE 12. 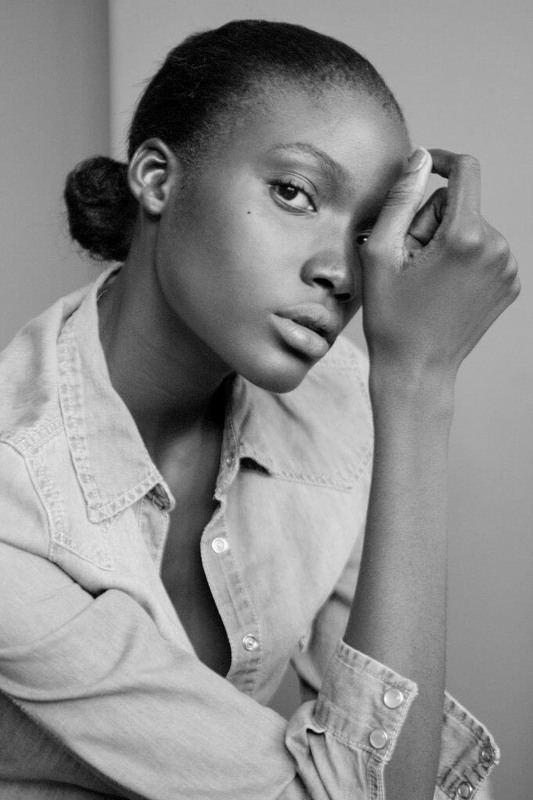 I had the pleasure of catching up with Daberechi on how she got into modelling, her big move, and how she spends her time off the runway. How long have you been modelling for, and how did you get into it? I have been in modelling for about a year now. I got into modelling by actively seeking it out – I decided I wanted to give it a go and not long after that I got scouted by my mother agency, Few Models. You are a coder when you’re not on the runway. That is super rad and very unconventional. Why did you get into tech? Thank you! I got into tech when I finished secondary school. I was an art student and I was fully aware that in Nigeria, my career options were limited to either studying Law, Mass Communications, English or something I had never heard about. I wasn’t ready to dedicate seven years of my life to Law so I decided to diversify. I took a gap year and began learning how to code. What is the biggest difference for you between the two worlds? They are both worlds apart but it is so much fun to just perform! Tell a story with your eyes and craft a whole experience [on the runway] with your movement! And other times it is so relieving to jump into any outfit, not worrying too much if it flatters me or not, and sit in front of my computer. You got your big international break by winning the inaugural Face of Few competition. Do you consider yourself a pageant girl now? No, I’m not a pageant girl, although I’ve gotten many comments from people encouraging me to do pageantry. But that’s just not where my head is at. Few’s Next Face was a scouting contest, much more high fashion than pageantry which is why I participated in it. Even though I had been working for a few months before then, I saw it as a chance to get scouted and see what the rest of the modelling world had to offer me. It was a wonderful experience and I’m glad it turned out well. You’ve worked with a number of high profile Nigerian designers, who has been your favourite so far? It’s hard to just name one. I like Maki Oh, Deola Sagoe, and Tsemaye. In that order. These are designers that I can feel and see the amount of thought and creativity put into their garments. I’m absolutely in love with them, it’s insane. Do you think models are finally getting their due in Africa? I believe it’s a work in progress. I can testify to the Nigerian Fashion Industry, it is a small one but it is growing and developing. The scene now cannot be compared to the scene in 2012 and that was just five years ago. Models are definitely being treated with a lot more respect, people are no longer dismissive to models, and we are now fairly compensated for the work we do. It is obviously not where it should be, but we (as models) have become more aware of ourselves and our worth. We are demanding what we deserve. You know what, I believe in organised chaos. I think you run into problems when you try to bend the universe to your will. So I think I’ll just let things fall as they may.